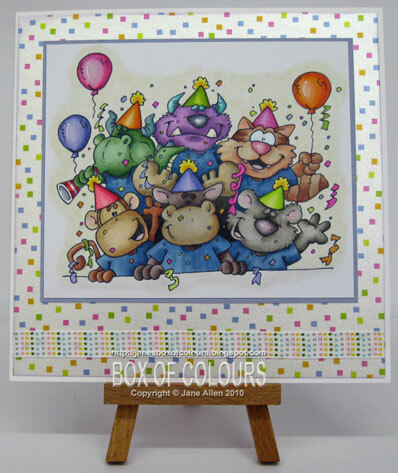 Jane's Box of Colours: Brand new Year! Really looking forward to following your blog this year...! Keep your eye out for a few surprises this year - as my confidence/competence grows so will the blog!!!! An amazing card! oh tutorials would be great! Jane, would you be able to post the review you did on coloured pencil's and Zest it. As you know it's not long on a certain web site. I have the Zest it... now looking for nice pencils and the right paper. But can't remember what you recommened. Ros, I'll see if I can find the piccies and see what I can do - at the very least I'll email you with the details!! !